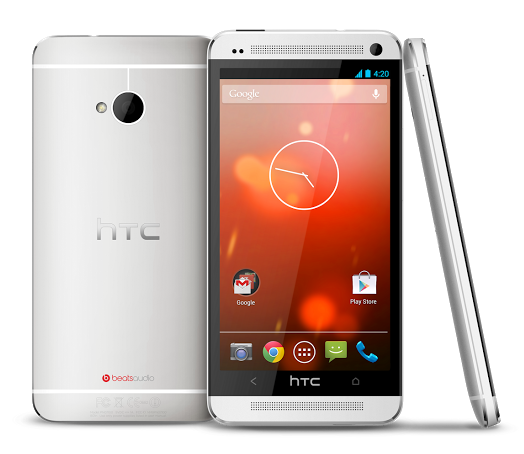 HTC One is a beautifully crafted device, there's no question about it. This is the holy grail device of the Taiwanese giant that could put them back to the top of the Android game once again. Eversince it was released, it has been stealing some lightning from the Galaxy S 4, and now HTC follows the latter's footsteps to release a stock Android variant. Design-wise, the One is a piece of heaven - the zero gap construction with two sets of frontal speakers in an inverse pyramid design. However, alongside these accents you'll get the overlay of Sense 5.0 which, for some, is plague with bloatwares and takes a considerable amount of space to One's unexpandable memory. So yes, come June 26th, the HTC One with Nexus will be priced USD 599 off-contract. It'll have the same hardware specs and will definitely come with Beats Audio out of the box. Personally, I would love to have BlinkFeed on my One; but for the love of a pure stock Android experience and timely software updates from Google, I would rather take a pitch for this variant. How about you?